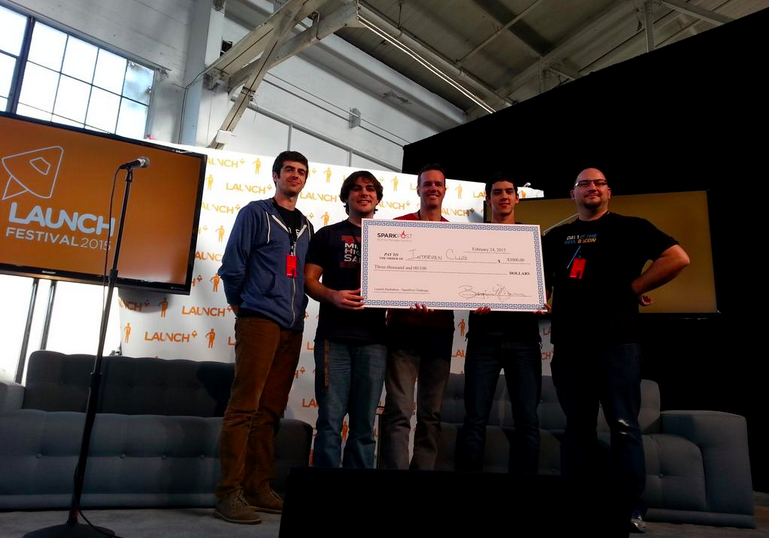 Over 900 developers joined us at the 2015 Launch Hackathon held at Fort Mason in San Francisco a few weeks ago. They hacked on everything including transportation, shopping, education, business services and even gaming projects. It was a great weekend of coding, fun and challenges. Our Principal Developer Advocate, Benjamin Dean, spent the entire weekend at the event and helped debug, provide tips and tricks and sponsored the judging for our joint promo with FullContact. All in all, 17 teams used SparkPost Email Infrastructure SaaS in their final hackathon submissions. After 48 hours of coding, the unanimous victors of the co-sponsored prize of $5,500 in cash plus $7,000 in SparkPost services was awarded to The Interview Club, which demonstrated solid usage of FullContact and SparkPost APIs in their hackathon submission. What did they do? The Interview Club solved a real world need of helping companies hire the right engineer for their business and also reward engineers for helping vet viable candidates. You can read about their entire solution on the Launch Hackathon website. For more photos from the event, check out our Facebook album: Post by SparkPost.